What are they? Do I qualify? While I was working at a day-care center, I helped a Solo Mom navigate her way through government programs for financial assistance. It can be an arduous process with twists and turns that might not make sense to those looking for aid. To say that “patience is key” is an understatement. Although plenty of viable Supplemental Security Income (SSI) information is available on the Internet, below are some of the basics to help you determine if SSI benefits are right for your situation. What is SSI? SSI is a federal program that was created to provide monthly financial resources for disabled and/or blind adults as well as those caring for disabled children. The funds obtained through SSI can be used for basic living expenses—shelter, food, and clothing—and have the potential to be obtained long term, differing from Temporary Assistance for Needy Families (TANF), which provides short-term financial aid. This federal governmental program is managed by the Social Security Administration. There are state benefits that are aligned with this plan; however, for initial SSI benefits, your main point of contact will be this government agency. What are the basic criteria? Are you a Solo Mom who is disabled or blind? Or are you caring for a child (between the ages of newborn to 18 years old) who has severe disabilities? Are you 65 or older? If you answered yes to those questions, what about these: Do you have little or no income or resources? Are you a U.S. citizen, foreign national, or resident alien? And, do you live in the United States? If you answered yes to those questions as well, you might be eligible. The determination for SSI benefits is a bit unclear. 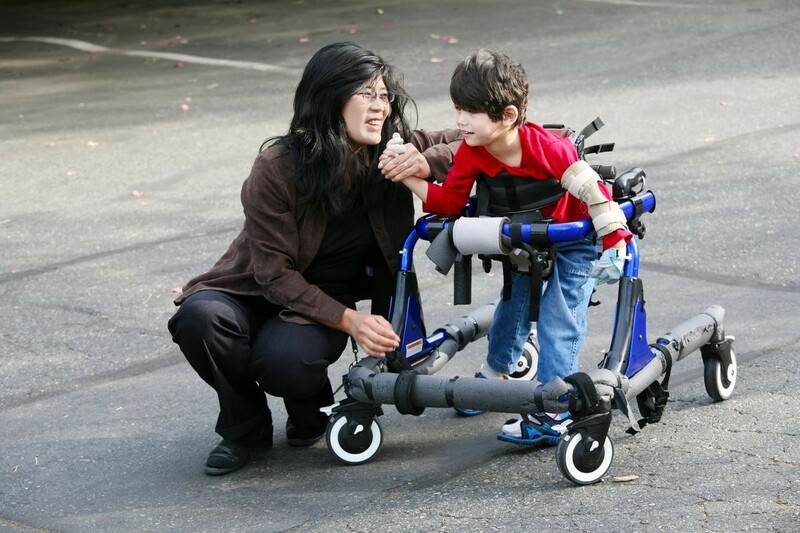 A state agency determines whether you or your child meets the disability criteria. The agency checks banking records and the Internal Revenue Service to review your entire family’s income (and resources) as part of the application process. So, for example, if your ex-spouse is helping with child-care expenses, you might not qualify. The Social Security Administration’s Benefit Eligibility Screening Tool is a 10-minute test that you can take to you find out which Social Security benefits you may be eligible for. How do I apply? There is no online application process at this time for SSI benefits, so you have to call 1-800-772-1213 (TTY 1-800-325-0778) during a weekday to make an appointment or contact your local Social Security office to file an application in person. If you are applying for your child with disabilities, there is a helpful Child Disability Starter Kit with detailed instructions, including when to contact the Social Security office. There is also a Child Disability Report that you will have to fill out online, which will require your pediatrician’s information. The agency will contact the doctor to verify the child’s disabilities and their extent. Wait?! Is SSI different from Social Security benefits? Yes! If you are eligible for SSI, you also might be able to qualify for Social Security benefits. While the Social Security Administration manages both programs (confusing, isn’t it? ), Social Security benefits are paid from the funds earned while a person was employed (i.e., Social Security tax) and there are different yet some similar criteria to qualify. It is a separate application process. You can find out if you are eligible for Social Security disability benefits through an online application. Can I work and still receive benefits for my child or me? Yes, and those monies will be counted toward your resources and affect how much money you might receive that month. And what are considered resources? Stocks, bonds, land, personal property—basically anything that you might own that can be redeemed for cash. Again, your ex’s assets might count as well, along with any child support (even if it’s for other children) or alimony. The government does have a “resource limit” and not all of your resources will be counted against whatever monies you might receive. How much money will I receive? The current federal base that is allotted for one person is $733, but that depends on your resources and which state you live in. Some states subsidize SSI, so there is potential to receive more or less monies. How long does the process take? Here is the tough part: no one can answer that question. It can take three months or longer. The Solo Mom I was helping was in her second appeal for benefits for her child, and it had already been more than a year since she started the process. The Social Security Administration does have a list of 200 conditions, based on its Compassionate Allowances initiative, to aid it in distributing benefits more quickly to needy adults and children; however, the process is what it is and should not deter you from seeking any assistance that you might need. Do you have more questions about the complicated rules of public assistance? Sister Chat is a confidential place to ask other Solo Moms with experience.